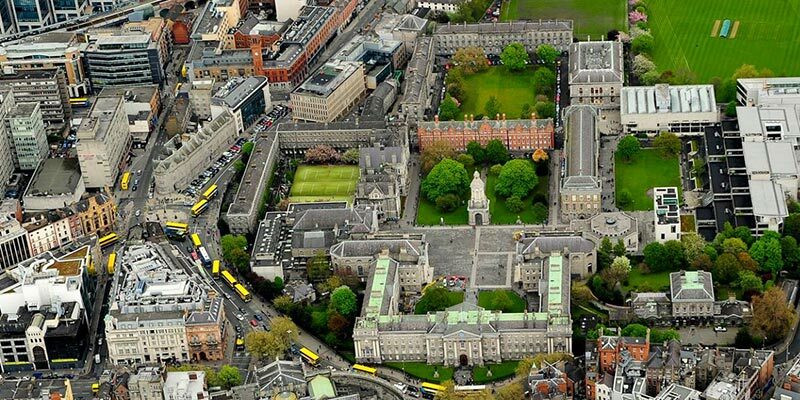 The design and implementation of the refurbishment and upgrade of the Science Block at Trinity College by Select Roofing was detailed and highly specified due to the public location and highly functional status of the building as an educational institute. Throughout the implementation of the refurbishment and upgrade project the building was required to be maintained “live” that is with no disruption to the normal usage of the building. Due to the high proximity to the public an extensive Health and Safety plan was required to be designed and implemented along with Standard Operating procedures in terms of public protocols. The project itself required a stripping of the existing roofing system and its replacement with a full insulation upgrade using Kingspan PIR boards under an IKO bituminous felt built-up system. The results of the installation were an increase in the building’s U-value and energy efficiency as well as the enhanced protective safety against adverse weather conditions or long-term moisture build up.